Data sourcing is the broader term and main footstep for the master data management identifies the best source of the spend (Vendor/Manufacturer). Data sourcing is a structure formed by many processes like Vendor Validation, Parent/Child Relationship, Product Duplication, Description Enrichment, Packaging Updation. 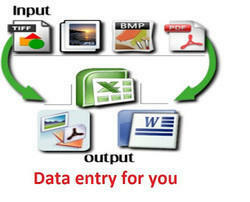 We provide at EDSOI - high level, Data Extraction Services is India based fastest upward company donation online data entry, offline data entry, data processing, web search, data cleansing, document scanning, data scraping and data extraction services. We implement Pentaho to perform Extract, Transform and Loading activity. The data can be extracted from any source. Transformation and cleansing activities can then take place on the data and finally the data can be pushed into a destination server / file. Get in touch with us to know more on this tool. This includes data Extraction from multiple sources, putting business rules and taking the required data to reporting levels. Web Extraction is the process of extracting structured information from semi-structured or unstructured web data sources on internet. Web Extraction also referred as Web Data Mining, Web Harvesting, Web Scraping. Our valuable clients can avail quality Data Extraction Services from us. This service acts valuable as organizations have substantial amount of information that is held to strict, sometimes government imposed, regulations. With our services the information can be converted into electronic formats that benefit the publishing industry.